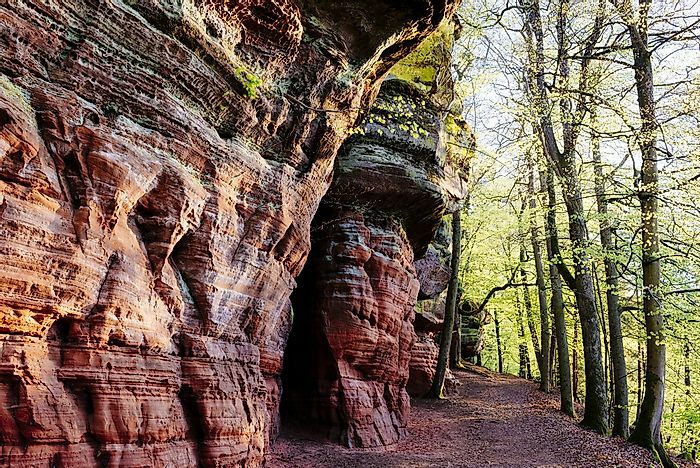 Germany is home to 16 unique national parks. 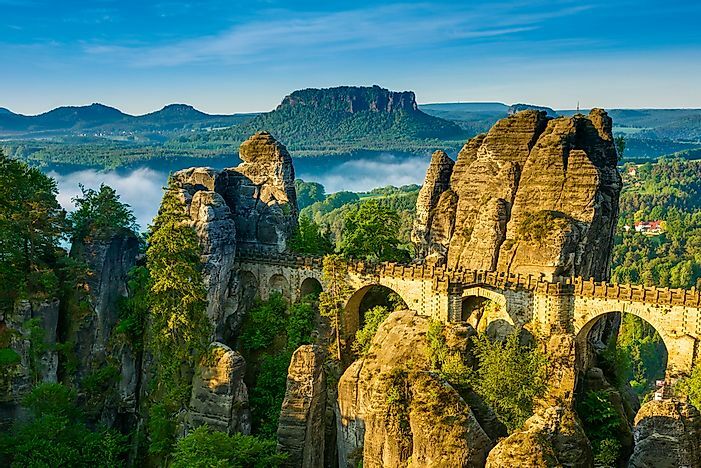 Saxon Switzerland National Park is one of Germany's most popular. Germany is an ecologically diverse country. The sixteen federal states exhibit diverse dialects, culture, and cuisines. 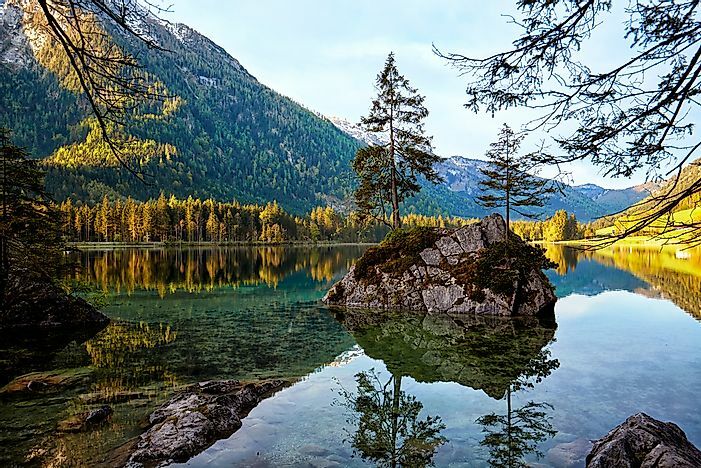 The national parks of Germany offer the opportunity to explore the fascinating natural environment of the country. They are considered an integral part of the national heritage and protected under Article 24 para.1 of the Federal Nature Conservation Act. The parks and the animals within them are protected from harm due to human activities such as encroachment, destruction of their habitat and poaching. 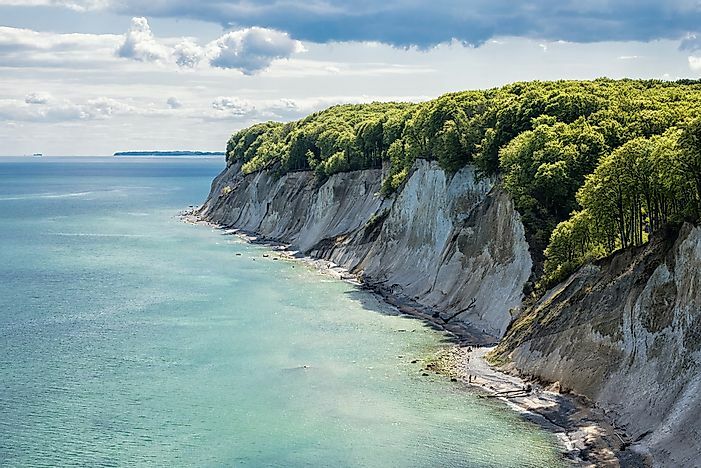 Jasmund National Park is located in Mecklenburg-Vorpommern. It was established in September 1990 and covers an area of approximately 12 sqm, and is the smallest park in the country. The park is home to the largest chalk cliffs in the country; the Königsstuhl. The park is also home to the beech forest that is considered a UNESCO World Heritage Site since June 2011. A wide range of plant and animal species are found in the park including the black alder, yew, etc. The beach Western Pomerania Lagoon Area National Park. 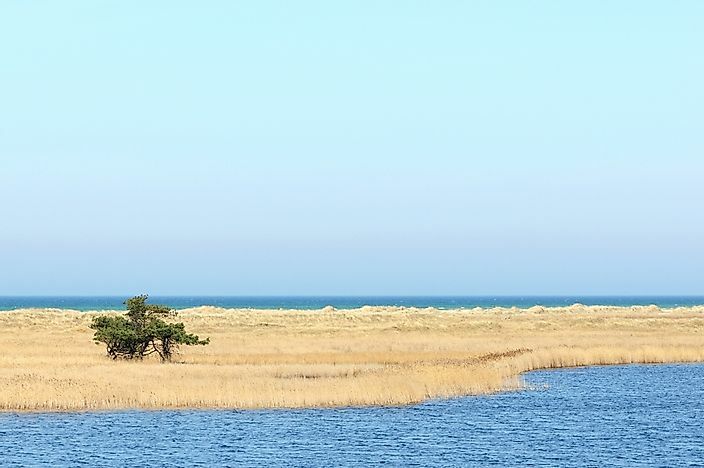 Western Pomerania Lagoon Area National Park is the largest national park in Mecklenburg-Vorpommern's. It was established in October 1990 and covers an area of 311 sqm. The park is home several islands and lagoons, peninsulas, and a large coastline of the Baltic Sea. Every year tens of thousands of migrating geese and cranes congregate to rest in the park. Visitors get to experience natural terrain walking along the park's trail. Other attractions include Lighthouse of Darsser Ort, dune heathland, and salt marshes. 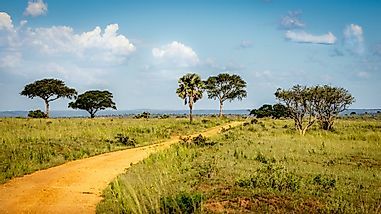 Muritz National Park was founded in October 1990. It covers an area of 123 sqm and is one of the many parks located in Mecklenburg-Vorpommern. 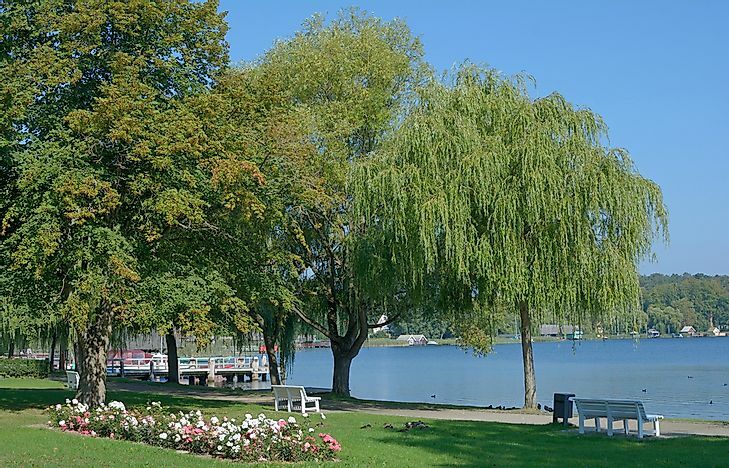 The park is known for its lakes which are about 100; there are also several water bodies including rivers and ponds. 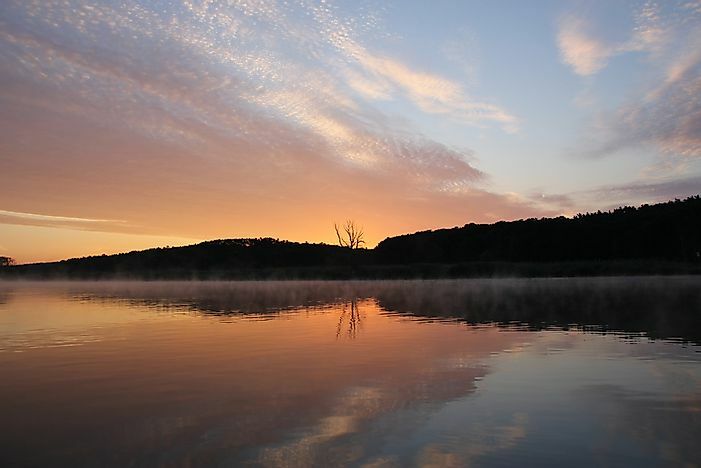 Forest cover accounts for 65% of the park while lakes and water bodies account for 12%, swamps and meadows account for the remaining portion. The red deer, osprey, reed warbler, and the Greenshank are among the animals found within the park. Dusk in the Lower Oder Valley National Park. 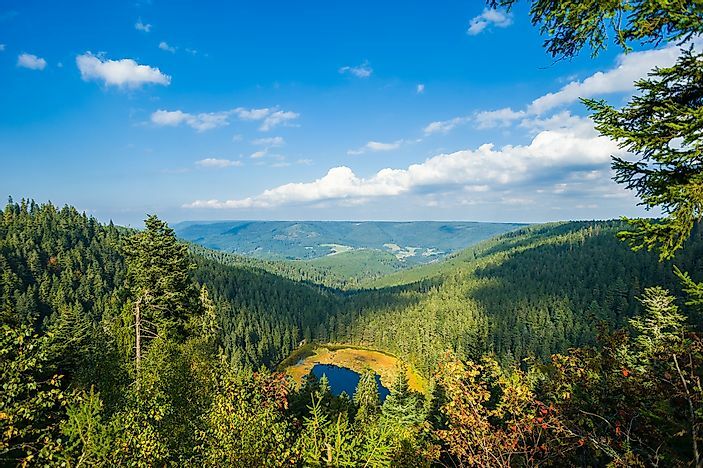 Harz National Park was founded in 2006 when the Harz National Park and the Upper Harz National Park in Lower Saxony and Saxony-Anhalt respectively, merged to form a single park. It covers an area of 95 sqm. The park's forest is mainly composed of the Norway spruce and the Rowan. The park is home to the Eurasian lynx which had been declared extinct in the park in 1818 only to be reintroduced in 1999. Other rare animals include the dipper, European wildcat, and the black stork. The Oder River, the llse, Bode, and four more rivers originate from the park. 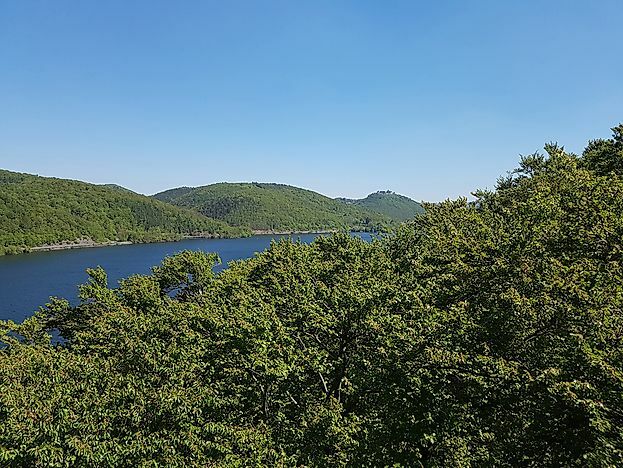 Kellerwald-Edersee National Park is located in Waldeck-Frankenberg. It was established in January 1994 and covers an area of about 22.15 sqm. The park's beech forest was made a UNESCO World Heritage Site in June 2011. The park is popular among hikers who traverse the meandering paths to the forests and hills. 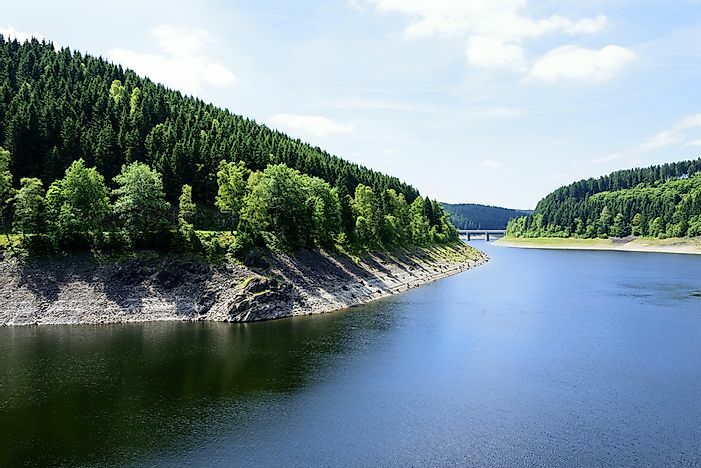 Lake Edersee invites visitors to take a dip in its clear, blue-green water. Visitors can also take a boat trip on the lake. During summer the park attracts camping trips by friends and families who stream to view the beautiful scenery created by trees shedding their leaves. 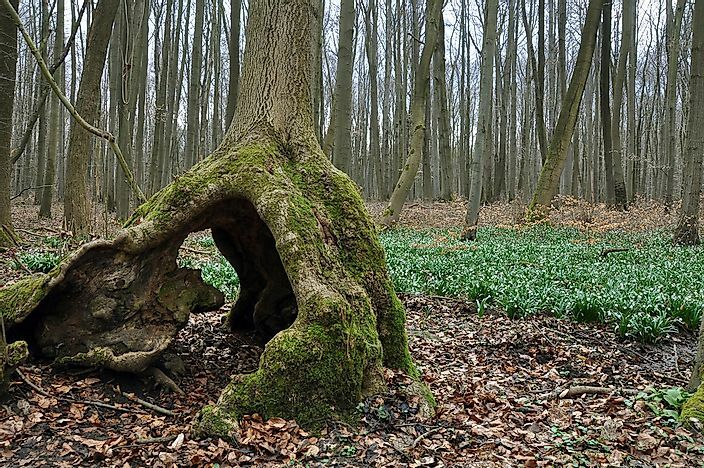 The forest of Hainich National Park. Hainich National Park is located in Thuringia. It was founded in 1997 and covers an area of 29 sqm. The park occupies the southern part of Germany's largest deciduous forest; Hainich forest. It was recognized as a UNESCO World Heritage Site in 2011. The beech forest is composed of ash trees, checker trees, maples, and lindens. Anemones and summer snowflakes make up the largest species of flowers in the park which is also home to the Wildcat, woodpeckers, bats, and wood beetles. The park was established to restore the forest which had experienced degradation particularly due to the establishment of military training facilities. The Eifel National Park in North Rhine-Westphalia was the first conservation area that protected the upland beech forests. The forest had been used to produce timber for a long time and had experienced massive deforestation. Today the park is home to about 230 animal and plant species that are considered endangered. Wildcats, bats, and beavers are some of the animals that thrive in the park alongside bats and the kingfisher. The woodland of the park is home to about 1300 species of beetles that are considered an important part of the ecology. The park offers guided tours to the forests. The landscape of Hunsrück-Hochwald National Park. Hunsrück-Hochwald National Park was officially opened in March 2015 after being planned for seven years. It is the newest park in the country. The park is located in Rhineland-Palatinate and Saarland regions. 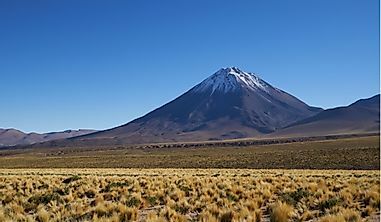 It is home to Nardus grasslands, arnica, and beech trees alongside several other species of plants. Saxon Switzerland National Park, in Saxony, Germany. Saxon Switzerland National Park is located in Saxony; it covers an area of approximately 36.1 sqm. The park is part of a larger natural area that is over 274 sqm. Forty percent of the park is under forest cover part of which has not been explored by man. It is the largest forest protected by the government. The government plans to restrict human activities within the woods and extend the inviolate area to 75%. This involves limiting climbing, hiking, and camping. 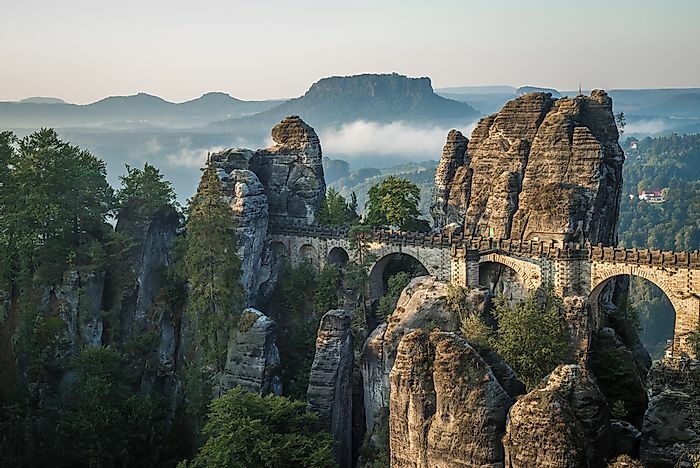 It is home to the wildly eroded landscape of Elbe, cliffs, and gorges. It experiences an unusual climate known as the climactic inversion that allows the montane forest to thrive in the cool and damp altitude while flowers that would normally grow in tundra climate to thrive in the higher altitudes. 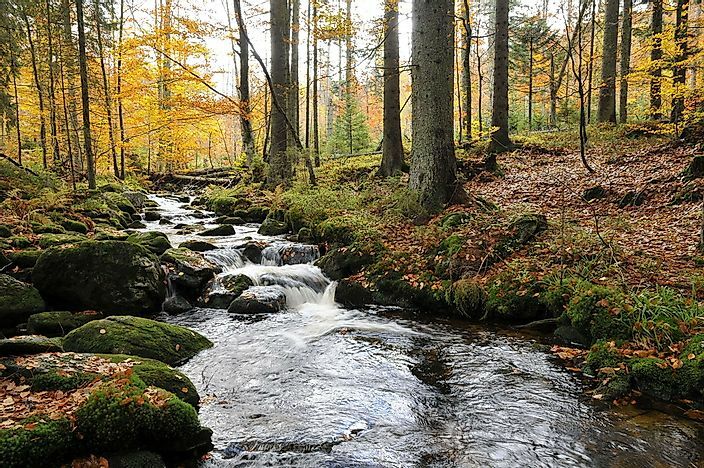 The Bavarian Forest National Park was founded in October 1970 and is located on the border with the Czech Republic. 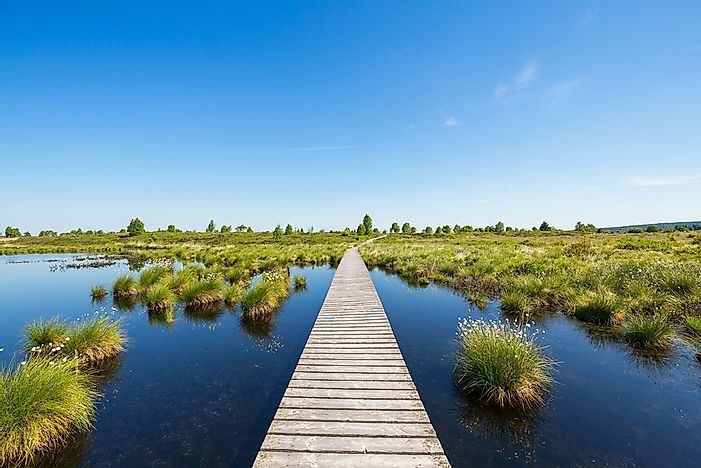 It is Germany's first national park and covers 93.50 sqm after it was expanded in 1997. The Forest Park borders the Czech Bohemian Forest on the Czech side to form Central Europe largest continuous forest cover. The three-toed woodpecker, and Europe's smallest owl; the pygmy owl, are some of the bird species found within the park. Black Forest National Park, Germany. The landscape of Hamburg Wadden Sea National Park. The Hamburg Wadden Sea National Park in April 1990. 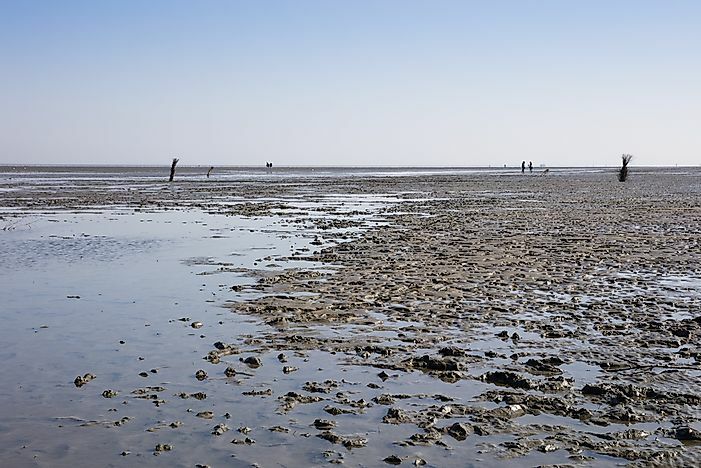 It is the smallest of the three Wadden Sea National Parks that were established to protect the Waddensea of Hamburg. The park is largely occupied by sand and mudflats characterized by shallow creeks and sand dunes. 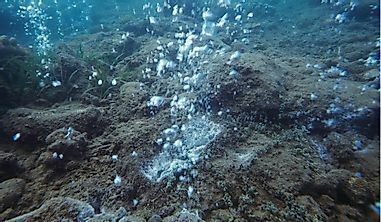 It was designated an ecological biosphere by UNESCO in 1992. The mudflats are a home to several species of snails, tens of thousands of north-western shelduck birds convey within the park during their molding period from July to September. Ebb tide at Lower Saxony Wadden Sea National Park. 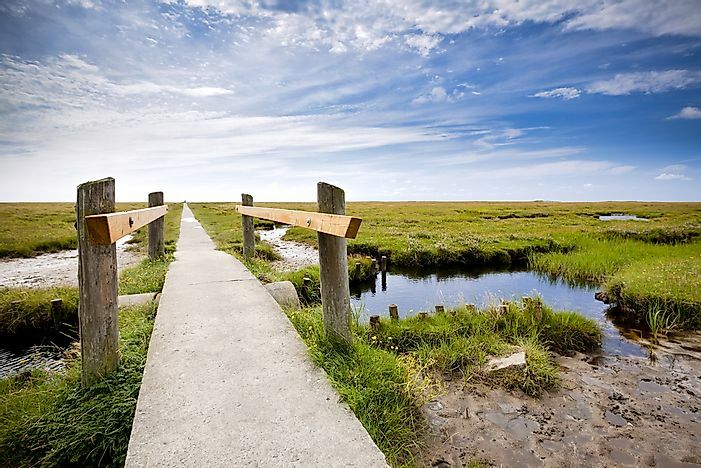 The Lower Saxon Wadden Sea National Park was established in 1986. It covers an area of 133.5 sqm. 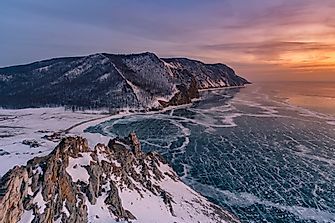 The landscape along the shoreline is allowed to allowed to undergo natural processes and have eroded to exhibit an incredible scenery. 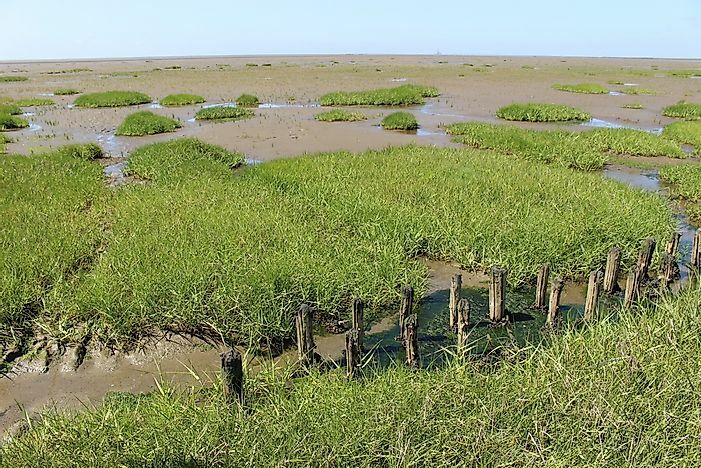 The government protects the Mudflats, beaches, dunes, and salt marshes from human activities. It is divided into three zones, the first zone is strictly protected from human activities and accounts for 68.5% of the park. The second zone is restricted to a certain period and can only be accessed by certain routes; it accounts for 31.0%. The remaining area is considered zone three and is open to the public anytime for recreational purposes. The marsh at Schleswig-Holstein Wadden Sea National Park. An act of parliament founded the Schleswig-Holstein Wadden Sea National Park in July 1985 and was officially opened in October of the same year. Alongside the Lower Saxon Wadden Park, Hamburg Wadden Sea Park, and the Elbe estuary, the Schleswig-Holstein Wadden Sea National Park forms Germany's part of the Wadden Sea. 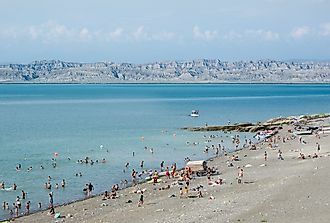 It is characterized by mudflats and sandbanks. 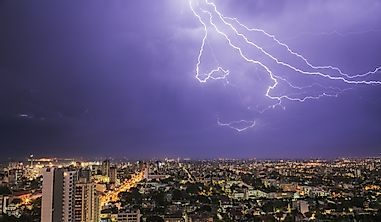 This page was last updated on July 24, 2017.